At TORQUE – Our trainers not only talk the talk – we walk the walk. We have trainers who specialize in certain aspects of fitness – meaning you can be sure that you’ll be working with someone who has experience getting results. We have trainers who work for the gym, as well as independent trainers who use TORQUE as their training facility. Every trainer is professionally certified and has years of experience working with clients. 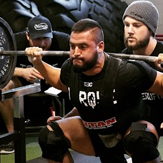 To inquire about working with one of our trainers – call us at 416-642-1010, or email dan@torquebarbell.com. Professional powerlifter and National Record Holder. Certified Sports Conditioning Specialist & Sports Nutritionist, TORQUE Powerlifting Coach. Specializing in – Strength training, powerlifting, sports/athletic performance, body transformations. 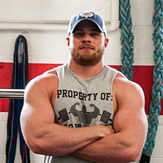 Garrett is a certified personal trainer specializing in body transformations for both men and women. Passionate in what he does, he believes through fitness we can improve our entire quality of life. Garrett is an active Ontario Physique Competitor. Margherita is an IFBB Pro Bikini & Fitness Competitor. She won her IFBB Pro card in 2016. Margherita operates her training company – Find Your Fire – at TORQUE BARBELL. OPA Bikini Competitor, Certified Personal Trainer. Having competed multiple times in Bikini and Figure shows, Brittany can help you lose fat while maintaining lean muscle mass. Specializing in – Personal training, group fitness, weight loss. Independent trainers at TORQUE use our facility to operate their personal training and fitness businesses. They are not employed by TORQUE, however we have a close working relationship with them. Rodrigo owns Silverback Fitness. 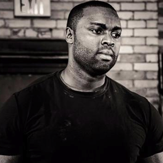 He is a Certified Personal Trainer, Fascial Stretch Therapist, as well as TRX Certified. “We provide workouts and meal plans depending on our athletes goals and needs. Toronto based Personal Trainer, Fitness Model, Bikini Competitor, and Powerlifting Athlete. Providing expertise to busy women looking to get in shape, get healthy, and live a more fulfilling life. I want to educate you: There are easier and safer ways to get in shape than hours of cardio and restrictive diets. Alicia Bell is a Kinesiologist, Strength Coach and Track & Field Coach. She has devoted her life to helping people reach achieve and exceed their fitness goals. Beyond working out, Nationally, she is a recognized track and field coach, having coached Team Canada to 13 medals in 2013.